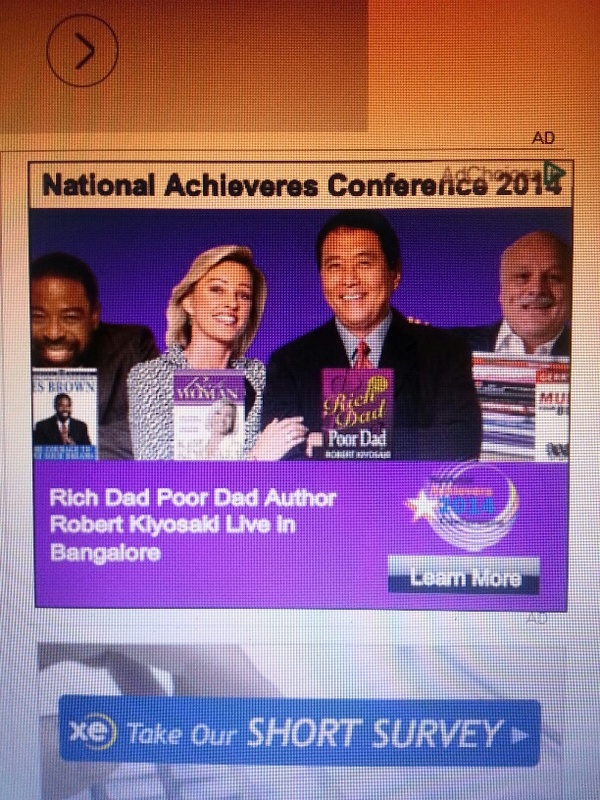 Robert Kiyosaki is holding a “National Achieverers” conference in Bangalore. It seems that being a bad spellerer doesn’t stop you from being an achiever! This entry was posted in Bangalore, India, Karnataka, Life and tagged Bangalore, Expat, Humour, India, Karnataka, Life, Robert Kiyosaki by Kiwigypsy. Bookmark the permalink.